An LLC operating agreement is a document that describes the operations of a limited liability company (LLC), in the same way as corporate by-laws describe the operations of a corporation. The owners of an LLC are called members. This article discusses the LLC operating agreement and answers commonly-asked questions. Description of Operations: As noted above, an operating agreement describes the operations of the LLC, listing the formation of the business and the procedures followed in the business. This discussion is helpful to the owner and a good way to ensure that appropriate records are being kept of proceedings. Separation of the Business: Having an operating agreement and keeping records of operations helps establish the separateness of the business from the owner for liability and tax purposes. If you don't have an operating agreement, you will find it more difficult to show that your business is separate from you. This is crucial, particularly if there is a liability issue. Clarifying Succession: An operating agreement also clarifies what happens if the owner dies or is unable to run the business. Your operating agreement should include a clause stipulating who will manage the LLC if you are unable to do so. Without this specific provision, it may be difficult for your family to continue the business or dispose of it without a lengthy legal battle. Avoid "Default Rules": If an LLC has no operating agreement, it is subject to the "default rules" of the state in which the LLC is organized. These "default rules" are set out by the state. Letting the state tell you how to dispose of your business assets is not what you want for your LLC. Can I file the Articles of Organization myself and just let the attorney help with the operating agreement? Articles of Organization are the documents filed with the state in which the LLC intends to operate. It is certainly possible to file Articles of Organization for your state without an attorney; many states have online filing and the form is simple. But you may want to check with an attorney to see if there are special requirements for your specific business that may require an attorney's help. How does the structure of an LLC operating agreement differ from the structure of corporate by-laws? An operating agreement is a merger of two corporate documents – the bylaws and the buy/sell agreement. Corporate bylaws dictate how the corporation is run – how voting occurs, what powers are granted to the directors vs. the president vs. the secretary, etc. The buy/sell is primarily the exit strategy – if you want to leave (or if you want another shareholder to leave), how does that happen? The operating agreement contains these same provisions – how does voting of the members or managers occur? What can be approved by the managers and what requires member approval? It also talks about what happens if one member dies – does the LLC or the other members have to buy back the interest from the estate? How does an operating agreement address tax elections? The operating agreement has another important function: tax elections (how the LLC wants to be treated for tax purposes). Corporate tax law is fairly structured; not too many elections or choices need to be made about how the corporation is going to be treated for tax purposes. An LLC is different. The IRS requires the members of an LLC to elect a tax matters member. This person has primary responsibility (with the help of the LLC’s accountant) to make decisions about the various tax elections the LLC will be making. The operating agreement sets out the members agreement about most tax elections so the tax matters person (and accountant) knows in advance how the LLC wants to be treated and which elections it wishes to make. Without making these elections up front, various options may be closed off to you, and not restricting these decisions in the agreement gives the tax matters partner a lot of discretion to make decisions in his or her best interest (under the guise of being in the “best interest of the LLC”). Is there specific language in an LLC about an operation that might need to be included to minimize liability? An operating agreement can be the first line of defense against creditors. For example, an operating agreement should restrict creditors from taking advantage of certain provisions meant for the members only, a “not for the benefit of creditors” provision. The operating agreement should also discuss how managers are protected – i.e. indemnification provisions – for the decisions they make. Managers have fiduciary duties to the members, but a manager’s first obligation is to make decisions in the best interest of the LLC. Sometimes what is in the best interest of the LLC is not necessarily in the best interest of the members. If you are a manager, you need to be protected from attack by the members, as long as you are acting in good faith and in the best interest of the LLC. An operating agreement should also have a protection against the filing of a lien against a membership interest. If a member loses a personal lawsuit, that judgment may result in a lien against the member’s membership interest. If the LLC has a bank loan, this lien could be a violation of your loan agreement – in other words, the bank could call your loan because a member made a bad personal decision. 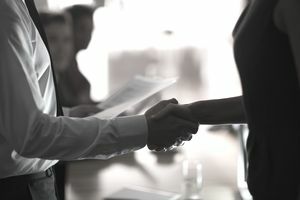 An operating agreement can provide that if an LLC receives notice of a potential lien, that triggers the LLC’s right to buy the membership interest – usually at a discounted price. These are just a few ways an operating agreement can protect its members from creditors. The information in this article is not intended to be tax or legal advice. Before you attempt to write an operating agreement, consult your tax and legal advisors.